For those who are unfamiliar with selecting cuts of beef, it can be difficult to understand all the terms used for various cuts of beef. Traditional usage of these terms in various regions of the country can give the same name to very different cuts of meat, or different names to the same cut. Another potential source of confusion is the variance between a cut's food industry name and the name of the retail cuts that are derived from it. 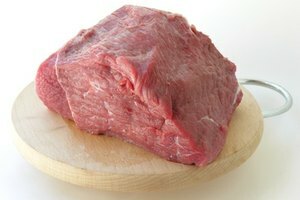 One prime example is the beef knuckle, a large piece of beef from the hind quarters. 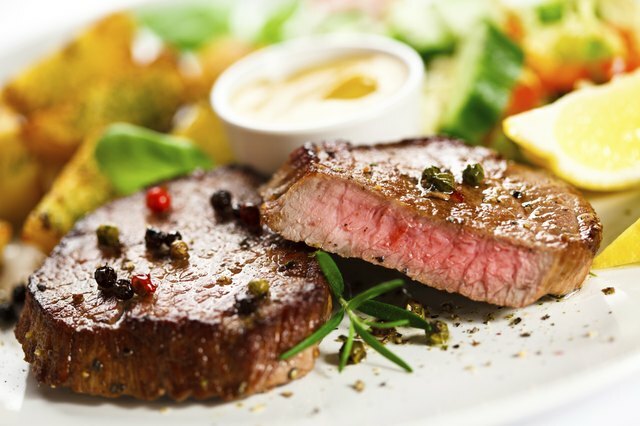 Reading up on cuts of beef can be helpful for better understanding the selection of meat at the grocery store or butcher's, and these hints can help. In the meat cutting profession carcasses are broken down, or fabricated, in two stages. The first is to divide the whole carcass into large wholesale portions, known as "primal" cuts. The second stage is to break down each primal cut further into retail cuts, such as steaks, roasts and stew meat. The knuckle, or sirloin tip as it's also known, is cut from a primal called the round, or hip of beef. As the name suggests, this is in the animal's hindquarters, and includes the hip with its related muscles, and a portion of the leg. 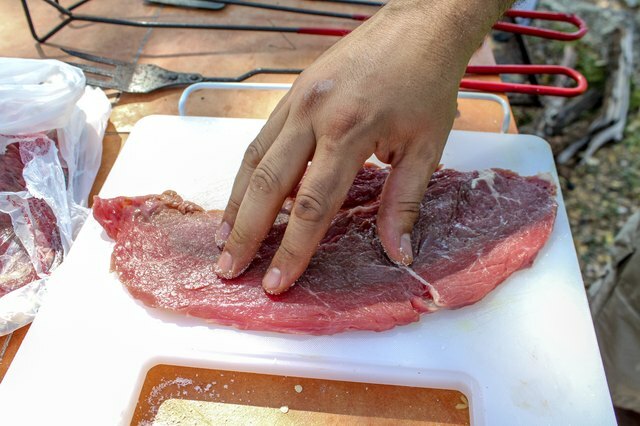 If you are new to selecting cuts at the butcher's or grocery store, understanding cuts of beef can be helpful. 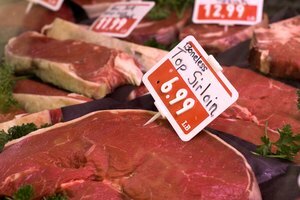 The butcher, however, is a vast resource to be consulted when choosing the best cut of beef for a specific recipe. Ask them for their recommendation. The knuckle, or sirloin tip, is a portion of the larger round containing three distinct muscles. These are known to veterinarians as the rectus femoris, vastus lateralis and vastus intermedialis, or to meat shop customers as the tip center, tip side and tip bottom. All three are very lean, and are visibly separated from each other by seams of connective tissue. Tip side cuts tend to be tougher, and therefore require more preparation time. The tip center is the most tender portion of the round. It is a slightly flattened oval in cross-section with a small seam of connective tissue visible in the middle. The connective tissue does not need to be removed as it will normally melt during cooking. The tip side is oblong, with a flat bottom and a gently rounded top. It contains no visible fat or connective tissue. The tip bottom is smaller and irregularly shaped, with a relatively large quantity of connective tissue visible. Again, this will disintegrate as the meat cooks. 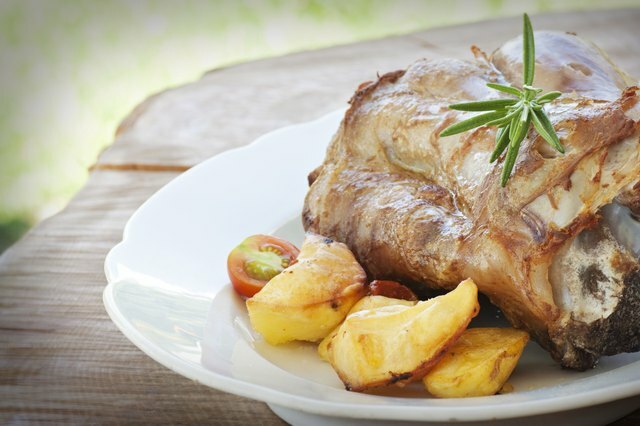 The cow knuckle can be used whole as a large roast, or can be cut up for stew meat or kebabs. If the beef knuckle is broken down further into its component muscles, they can be allocated to different purposes. The tip center makes a tender small roast, or can be cut into steaks tender enough for broiling or grilling. 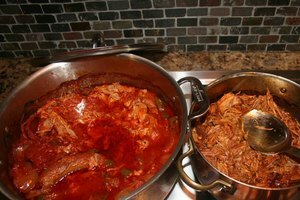 Remember to cook the meat to 145 degrees Fahrenheit, per the United States Department of Agriculture's recommended safe cooking practices. The tip side is also a useful roast, and can also be fabricated into steaks. These are not as tender as tip center steaks, and require tenderizing or marinating. If choosing to marinate the tip side, be sure to start early. 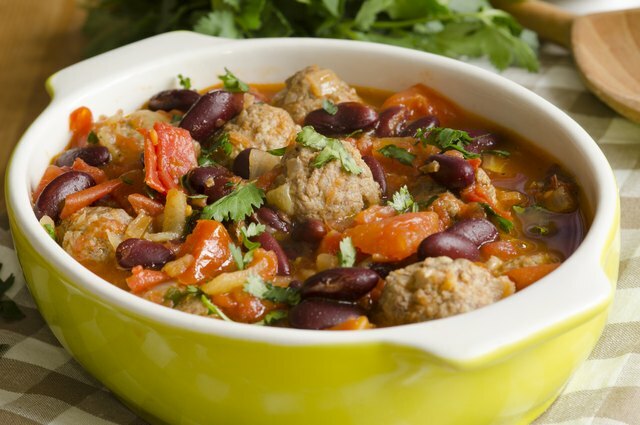 The longer the meat marinates, the more tender it will become, so more time is better. 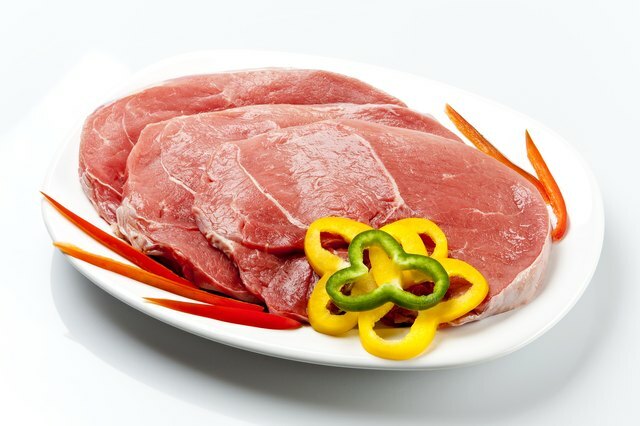 Try placing the meat in a marinade inside a self-sealing bag within the fridge for 24 hours before cooking the cut. The tip bottom is tough, and used for stew meat or ground beef.